Note: THIS PAGE WILL BE CONTINUALLY UPDATED – KEEP CHECKING FOR THE LATEST INFO. ADD YOUR QUESTIONS/DOUBTS IN THE COMMENT SECTIONS. What is the election all about? In Karnataka Legislative Council, seven of the 75 members are elected from graduate constituencies. A graduate constituency is one in which only graduates from any recognised Indian university can vote. Bangalore is one such constituency. This election is held once in six years. Every graduate from any Indian University can register as a graduate voter. This is a separate voting list from the usual voter list used for MLA, BBMP and MP elections. This has to be done NOW. Registration closes on 5th Nov 2011. MLC (Member of Legislative Council) has a term of six years. Their functions are similar to that of Rajya Sabha members. They are expected to help government make laws and regulations based on their knowledge and experience. Of the 75 MLCs, 25 are selected by Legislative Assembly, 25 by local authorities, 11 by Governor, seven each are elected from graduates’ constituency and teachers’ constituency. MLCs can put questions to ministers, raise debates and adjournment motions. They can be elected as ministers. Legislative Council can introduce ordinary bills, but not money bills (related to taxation, spending etc). Money bills can originate in Assembly only. When an ordinary bill comes to Council from Assembly, the Council can suggest changes and send it back to the Assembly. It can delay passing of a bill for a maximum of four months, after which the Assembly can make the final decision. In the case of money bills, Council can suggest changes within 14 days of receiving it, but Assembly go ahead either with or without accepting these suggestions. MLCs can access the Local Area Development Fund of Rs 1.5 crore. All you need is a registration form (Form 18), address proof and attested degree certificate. What is the graduate constituency? Bangalore graduate constituency comprises Bangalore Urban, Bangalore Rural and Ramanagaram. Who was the previously elected MLC from Bangalore graduate constituency? BJP’s Ramachandra Gowda is the current MLC. He was the Medical Education Minister in Yedyurappa cabinet, but was forced to resign after he was accused of corruption in recruitments to medical colleges. The voter should be an ordinary resident of Bangalore, and should have had completed graduation by November 1st 2008 from Indian university (the results of the qualifying exam should have been published by Nov 1st 2008). Who is an “ordinary” resident? Anyone who is a permanent resident in the constituency is an ordinary resident. Those who are temporarily absent from the constituency will be considered residents too. But a person will not be considered resident only because he owns property here. People who are receiving treatment for mental illness in an establishment or are serving a prison term are not ordinary residents. Members of armed force, police force and central government employees working outside India are considered ordinary residents, even if they do not reside in the constituency. The same benefit is extended to certain offices notified by the President such as Ministers, Governors, Speakers in legislatures etc. Click here to download Form 18 for registration (it can also be collected from designated officers). Forms can also be either handwritten or generated from the tool below. 2. Copy of your degree certificate self-attested, it if you are personally submitting it. Where to submit the registration forms? Submit the completed forms to specified officers – 39 officers have been designated for entire constituency. Of them 21 are Revenue Officers from BBMP, and the rest are Tahsildars, Deputy Commissioners of Urban district/BBMP etc. (Click here for full list of officers). – A copy of the degree certificate or mark sheet attested by Tahsildars/Principals of Govt degree colleges or inter colleges/ Joint Block Development officers/ Gazetted Executive Officers of BBMP. – A copy of the registration card issued by the University which authenticates them as a registered graduate. – A copy of relevant entry in the roll of registered medical practitioners/advocates/chartered accountants/engineers etc can also be submitted. How to find my constituency or ward? Use this tool to find your ward. Can I send the registration forms by post? You will need your degree certificate to be attested by a Gazette Officer, if you are posting it. What if my name is already in the voter rolls of the previous (BBMP) elections? The voter rolls for graduate constituency is different and enrolment should be done separately. Who is a qualified gazetted officer? Executive Officers (Gazetted) of Nagar Palikas/Nagar Panchayats. In the 2006 election, around 70,000 people’s names were in the voter’s roll. And about 20,000 of them voted. That’s estimated to be about 2% of the actual no of graduate voters. How can I check if my name is on the rolls? Is a graduate constituency relevant anymore? Some people do feel this is an ‘elitist’ concept – that assumes ‘educated’ people deserve a special privilege like this. However this is a role that has been mandated by the constitution and MLCs are elected and have a large development fund at their disposal. So citizens have a duty in ensuring the right candidate is elected. Yelahanka zone has 11 wards. 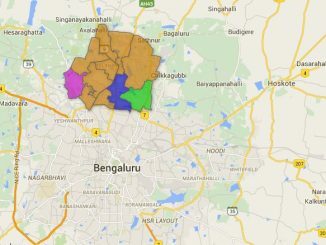 BJP dominated the BBMP elections – 2010 in this zone, by capturing eight wards. Here is the information related to the zone. 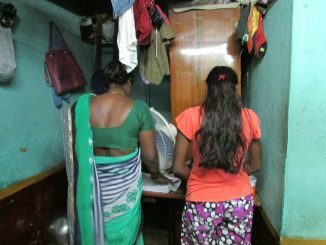 Government officials say there are easy, streamlined procedures for the poor to avail special schemes meant for them, but the experience on the ground in Bengaluru suggests otherwise. Where are the gaps and can they be plugged? Six photographers will be showcasing their rendezvous with Karnataka through their photography at Prathibimba. No u cant apply, u need to clear degree & need to submit the Convocation certificate xerox, along with application form. I am in Bangalore for my job. I am from other state. Am I considered as a person in Bangalore. Do I have the right to register with Bangalore graduate constituency? When can I register for graduate constituency in Bangalore urban. If it could be possible to register online? It makes a lot of help to seniors.